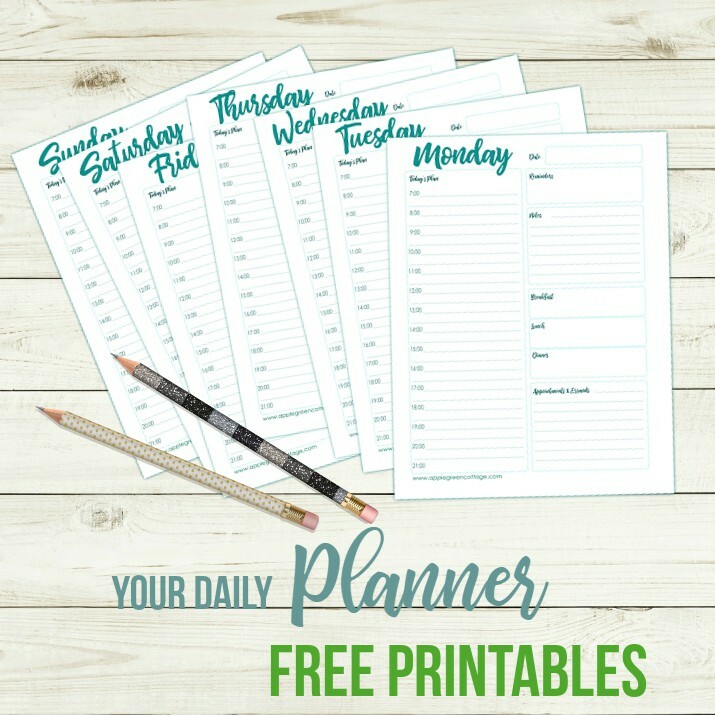 Free daily planner printable to keep you organized this year! 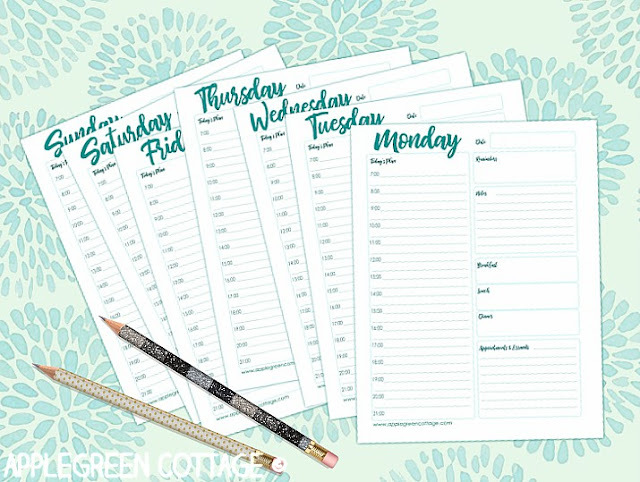 These daily planner printable inserts are perfect to keep you on track, and it's a great addition to this cute 2019 Printable Calendar (here) I want you to have a great start of the year, so help yourself to the FREE printable planner! 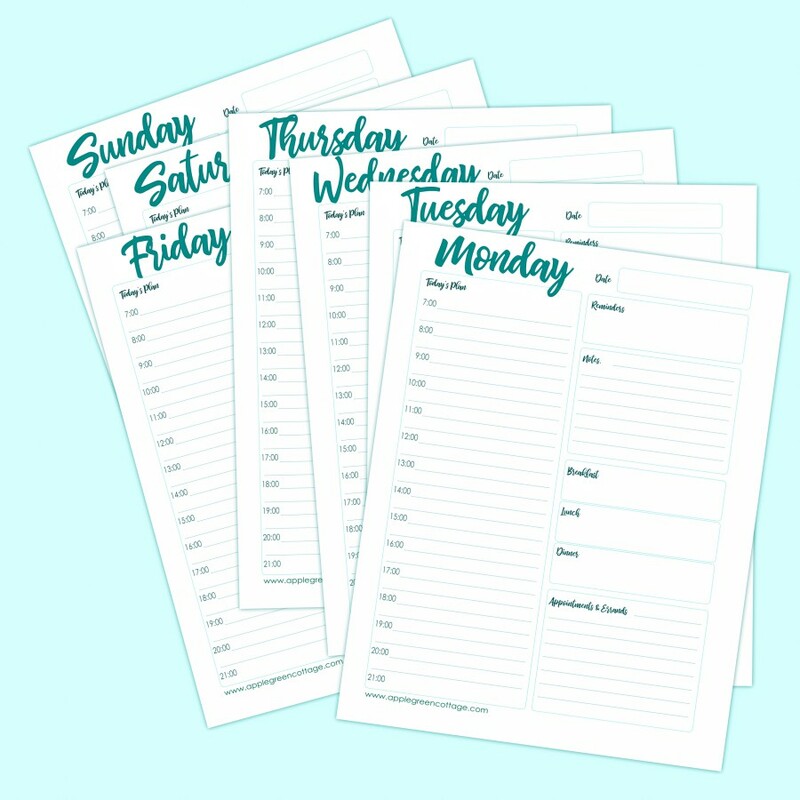 They will let you keep track of all your daily tasks and appointments, and keep any notes or extra lists you may want. 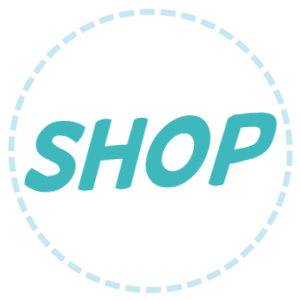 They will help you quickly plan your errands, or your meals for the day, too. You can get it in the subscriber-exclusive FREEBIE Library after you've signed up for the free newsletter (Sign up for my free newsletter HERE). Just download and print - as many pages as you need! 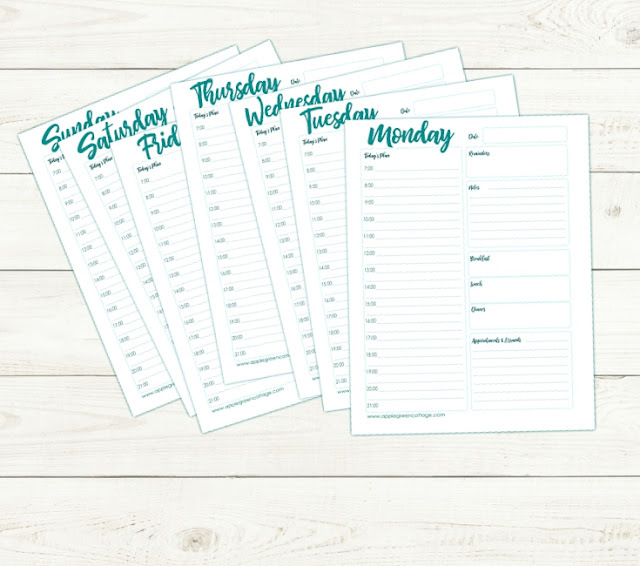 Totally flexible - you fill in the date so that you can use these templates forever! Keep track of your time and tasks, all in one place. Quick daily plan for your meals - right where you can see them. Works both on letter size or A4 paper. Want to give it a try? 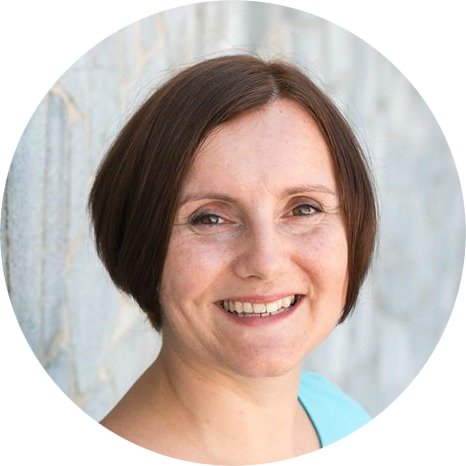 I am offering it for free, all you need to do is click through to sign up for my free blog newsletter and get access to it in the FREEBIES Library once you've confirmed your subscription. You're welcome! 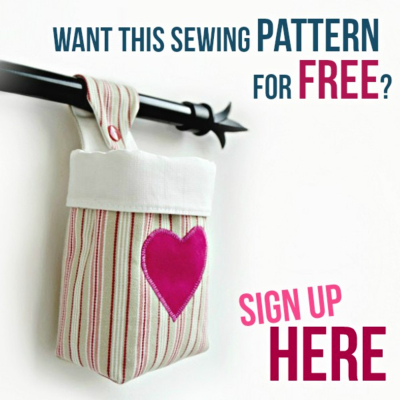 You'll also get a pattern from my shop for free and access to all the freebies on this site. The files are meant to be printed on lettersize paper. 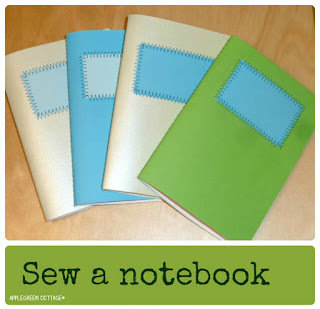 The perfect way to keep yourself organized! I think these could even be put on your fridge, or on the counter to be close at hand. Or should I make a weekly or monthly version of them? I have so much on my mind, and am playing with tons of ideas. Well if I just waited to bring them all to life, that would mean you'd have to wait. ...long. So I'm just jumping in with these free printable daily inserts for your organizer.. today. Feel free to print as many copies of this form as you need, and if you know someone who could use a planner like this one, share this post with them, so they can get their own FREE copies - help them make their own amazing and organized year, too! Stay tuned, more good stuff is coming your way this year. Happy crafting! 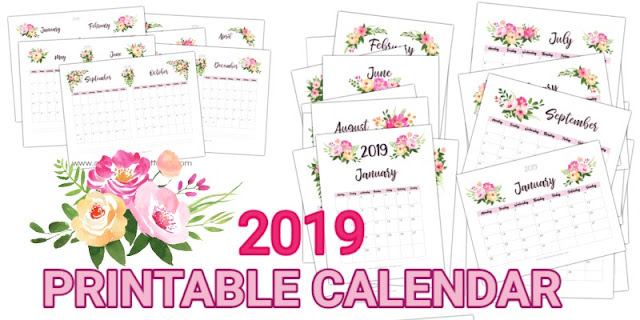 More Planners and Calendars? HERE!